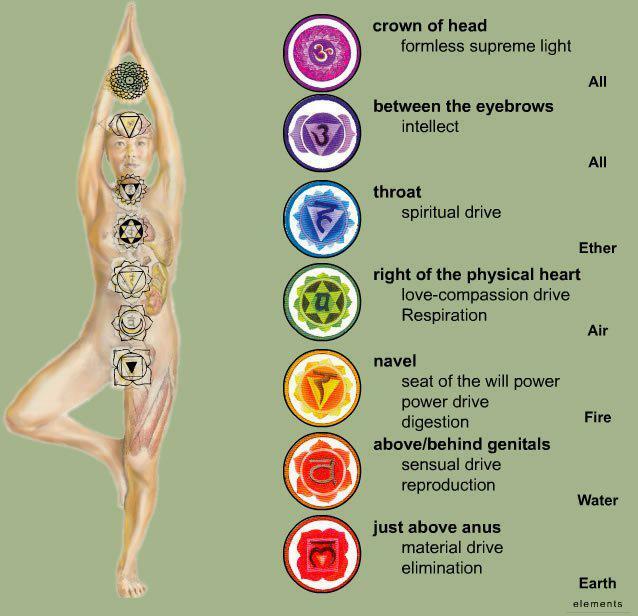 Most healers are typically aware of the seven major chakras, which are located within the body. Other essential chakras are the three etheric chakras (or two plus one, according to other masters). However, aside from these ten, there are thousands of other so-called minor chakras, positioned within the human energy field. as are vortices of energy contained by the etheric body, which send life force energy to one’s physical body. Each chakra has a color on the rainbow spectrum. These colors are considered pure and primal, possessing an energy which has the power to heal one’s senses, physical body, mind, and soul. Chakras and colors both have measurable frequencies, expressed in THz (short for ‘tetrahertz’), as well as wavelengths, expressed in nanometers. 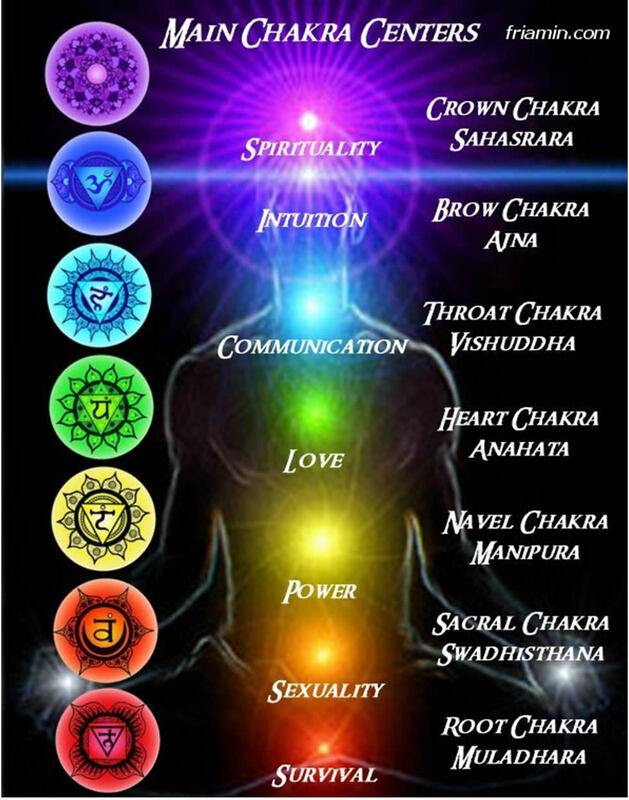 Each of the seven major chakras corresponds to an aura layer, as expressed in the chart below. Chakras can be cleared and healed with the aid of stones. The correspondence between chakra and stone is usually based on colors. Crystals and gemstones for chakras have been in use for millennia now, but thanks to the Internet, it’s now easier than ever to find just the chakra gemstones necklace you need, in order to heal. however, before you do that, it’s essential to understand how crystals and gemstones can be used, in order to open your chakras and cleanse them. It all begins with clearing and programming the stones or crystals in question, as to prepare for using them as storage space for the mental energy that is blocking one or several of your aura layers. First things first: you will need to make sure that the crystal wand or gemstone necklace you’ve selected isn’t carrying around any residual negative energy from its previous owner. That’s what clearing does – and, in the process, it helps you forge a bond with your crystal or stone. It’s as if, in this long and wondrous journey of aura cleansing, you were welcoming a new partner. The most basic way to clear your crystal is to hold it under clean running water and visualize all the negative energies that you wish to rid yourself of. As you do this, imagine the negativity being washed from you, into the limitless ocean of life and energy. Alternatively, leave the crystals under the most powerful source of light there is – the sun – and let its power and energy to cleanse it through fire. Programming a gemstone or crystal works in a similar way. You will need to make very direct, personal contact with your stone, by cupping it in the palm of your hand, holding it, and conjuring up a mental picture of what you want the gemstone to help you achieve. Visualize your life as you want it to be, liberated from the burden of negative energies. Hold the Chakra gemstones close to you at all times, by wearing it on a necklace or bracelet, directly onto your skin. If you cannot wear the chakra gemstone at all times, make sure to store it in a blessed box or satchel, which has also been cleansed of negativity beforehand. Focus on storing love inside your crystal wand or stone and trust that this will help you receive all that love back, tenfold. While it’s true that each chakra has got its very own color, it’s equally true that some stones will heal several chakras. This applies to so-called non-colors and neutrals (think white, black, clear, brown, and grey). White quartz, for instance, can work to heal any chakra and is actually often employed as a gateway toward beginning to work on cleansing a more specific chakra. Similarly, flecked gemstones, such as agate, can work on just about all chakras. Heart-related chakras can be healed with stones that have high vibrations. Lower chakras, like the Earth Star and Root Chakras are easily cleansed with stones and crystals in dark colors, like black and brown. And, of course, a stone that displays two colors, or a combination of two colors, will work toward healing issue with both corresponding chakras. Turquoise, for instance, will work for the Throat and Heart chakras, as well as for the Higher Heart. Do chakra gemstones kits work? One of the most popular ways of selling chakra stones and spiritual crystals is to present them as a set. Such kits are great for the uninitiated, who may not know, at first, just what chakra they need to work on cleansing. As you become better acquainted with the state of your aura layers, as well as with the chakra location of each problem, you will be able to focus more of your energy on a certain stone. This, in turn, will help you focus on the specific area within your aura that requires some cleansing, as well as on the particular gemstone that can help. Hey Buddy!, I found this information for you: "How to Use Chakra Gemstones for Healing". Here is the website link: https://accessgems.com/chakra-gemstones-for-healing/. Thank you.